Reusable grocery bags filled with ham, vegetables, and macaroni and cheese were passed out at the Salvation Army on N. Ogden in Chicago. 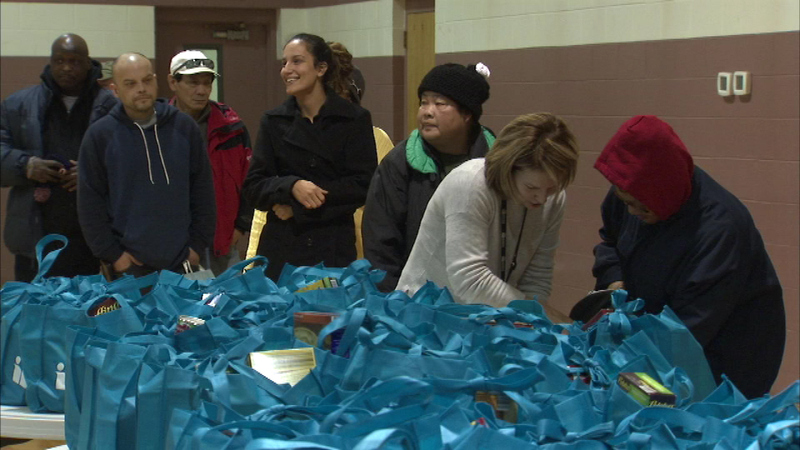 CHICAGO (WLS) -- Food for a Thanksgiving feast was handed out on Monday to area families in need. Molina Healthcare donated the food that was distributed on a first-come, first-served basis to 200 area families.